Safe and Vault Company are proud sponsors of the AiS April Lecture. 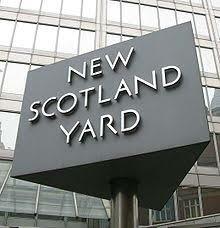 This months AiS Presentation is to be by PC David Boughton of Metropolitan Police Flying Squad who will be giving a talk on the Squad, it’s history, some of the big jobs, Operation Vanguard and it’s remit change, a look at crime trends and finishing off with a look at Solid explosive attacks on ATM’s. This will prove to be a very interesting talk so book early to avoid disappointment. AGENDA: Business crime and some of the initiatives currently being implemented by PC David Boughton of Metropolitan Police Flying Squad with the AGM being held straight after which will be hosted by BT RedCare and the Safe and Vault Company Limited.